Your home is your happiness, your comfort, your solace. When assisting you with your residential renovation needs, Michael Weaver and Mike Glass, the owners of Architectural & Design Elements, aspire to make you feel right at home. Their secret to success is simple — they listen. By listening intently and asking the right questions, they are able to meet each client’s vision or help them see it more clearly by educating them on the products that would best complement their home. Education is another key to unlocking a flawless home project. With Weaver’s 28 years in the flooring industry and Glass’ 30 years in construction, they have a wealth of industry knowledge, which they delight in sharing with clients. “We focus on quality and customer education,” said Weaver. “When a client comes to us with a project, we do our research and come back with the best and most suitable products for their home or lifestyle. Architectural & Design Element’s Santa Rosa Beach showroom and warehouse allows clients and designers to immerse themselves in the exclusive brands, 90 percent of which you won’t find anywhere else in Northwest Florida. They take pride in their exclusivity and quality control ensured by refined brands — including Stanton high-end carpeting, Modomo Italian porcelain tile and Kahrs wood flooring. While they can custom engineer many products, their primary goal is to work with and through the design community. Flooring and walls are their specialty, ranging from bathrooms and bedrooms to kitchens and outdoor spaces. 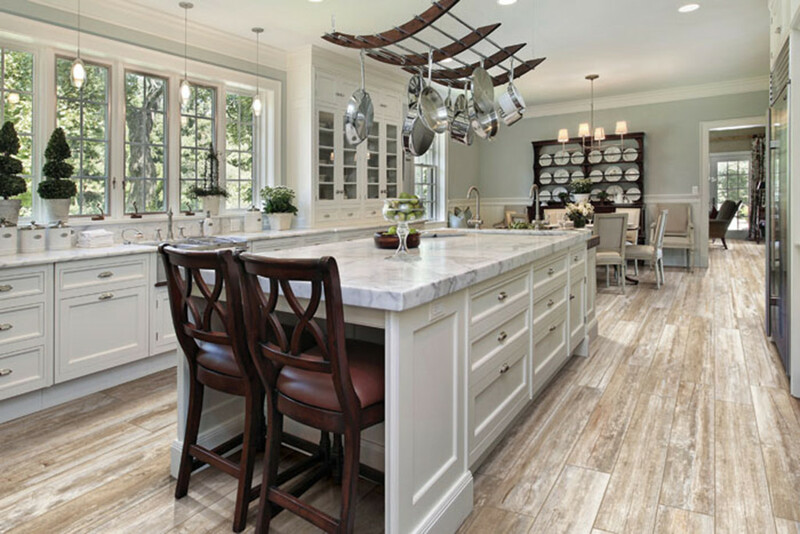 Clients often call with one project in mind then become repeat customers when the next home remodel arises. Weaver and Glass opened Architectural & Design Elements in 2016 and have enlisted the same staff and contractors ever since. Those who begin your home project will remain the same until completion, establishing trust and reliability.